So it begins—my third go-around dissecting every category at the Academy Awards in a three-week span. This year, the 84th Academy Awards take place on Feb. 26, three days before we leap. Fittingly, I am experiencing dejá vù all over again, because I began this quest for the 2011 Oscars exactly one year ago today—Groundhog Day. The lone Oscar nomination for Drive comes in this category, which celebrates the achievement of creating sound effects to enhance a film as well as the sound quality of specific aspects: music, dialogue, etc. Knowing that, I see “Drive” as a film with better mixing, but it’s here nevertheless. Too bad it has some serious contenders. With the exception of Hugo, most of these names have multiple nominations or Oscars to there name thanks to working with some of the best directors around. Hymns and Rydstrom have a lot of pull for War Horse, seeing as they have won multiple Oscars working on Steven Spielberg films. 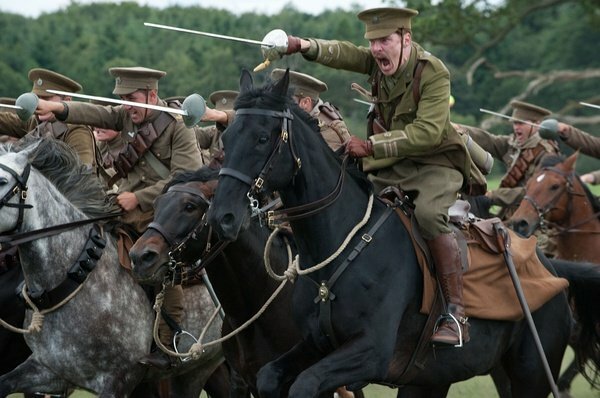 That in mind, the last time either won an award came in their work for “Saving Private Ryan.” To be fair, however, that was the last film Spielberg made comparable to “War Horse.” War films tend to do well in Best Sound Editing, as do action movies in general. In fact, no winner since “Titanic” could not be considered one or the other. So what about Transformers: Dark of the Moon? Believe it or not, none of its predecessors have won an Oscar in any of these three technical categories, so it doesn’t seem likely that this would change. 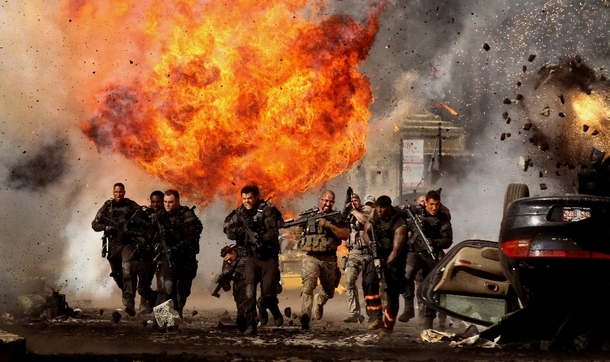 Sound mixing refers to a film’s master track and how well all the many sounds of a film blend together. As such, it’s often simply called “Best Sound.” While Best Sound Editing winners tend to be war and action films, Best Sound Mixing winners can often be musicals. Obviously, there are no musicals contending this year. So what about good music in general? You have to look at the Best Original Score category. The last three years now, the winner of Best Sound Editing was at least nominated for Best Original Score: “Inception,” “The Hurt Locker” and “Slumdog Millionaire.” This year, Hugo and War Horse were nominated for Best Original Score for Howard Shore and John Williams respectively. Even though it wasn’t nominated for Best Original Score, you have to give mention to The Girl with the Dragon Tattoo, as its composers won last year’s award. Moneyball seems particularly out of place, though editing-wise many praised the working in of baseball highlights. Interestingly, Ed Novick has a credit on the film, and he won last year for “Inception.” Of all the films nominated, however, this one is the black sheep. With four films nominated for both sound categories, it’s hard to imagine this year would be a split, so I’m picking the sweep. I haven’t seen the film (as of Feb. 2), but I have a gut feeling. Five films deep for the second year in a row, you’d imagine that this race would be particularly interesting, but it’s not all that close. Real Steel is the one just happy to be at the party, though I must say the visual effects were quite strong. The “Harry Potter” films have not had much luck either, so don’t count on Harry Potter and the Deathly Hallows Part 2. Although the effects are the best of the series, it’s tough to back Transformers: Dark of the Moon either. That leaves Hugo and Rise of the Planet of the Apes. The WETA Digital folks have a deep and extensive Oscar history with wins for some of the “Lord of the Rings” films, “King Kong” and “Avatar.” Surprisingly, of all the four names listed for “Apes,” only one has been a part of those films (Joe Letteri). 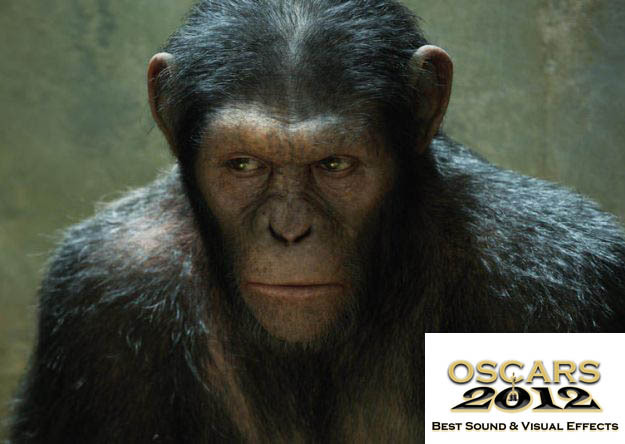 The Academy knows this is WETA’s work, and they know Andy Serkis turned heads this year to the point where he could’ve been nominated for an Oscar. The film deserves a statuette to put it bluntly, but that doesn’t mean the CGI vistas of “Hugo” and some of the best 3D ever can’t play spoiler.